Kent's "Hooligan Libertarian" Blog: "Death to the IRS and its employees"
"Death to the IRS and its employees"
Wishing they would all die isn't the same as actively making it happen. No, I am not suggesting you go out and start hunting IRS employees. But doing so is no more wrong than defending yourself from any other violator of your property, so it doesn't bring my condemnation, either. The IRS has the "authority" of the mugger: "Your money or your life!" uttered at gunpoint. So anyone who kills an IRS agent who has made "official" contact is no more guilty than anyone who manages to "get the drop" on a mugger in a back alley. Unfortunately, the IRS agent has a huge and violent gang, along with the idiotic and ignorant support of our neighbors. Or, if not "support", at least the ignorant belief that the IRS employee is doing something that doesn't deserve death. 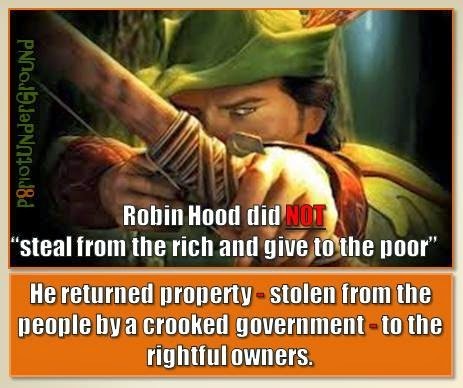 But theft is theft- it isn't "better" or less evil if it is committed by a person with an office. And, even if you have the right to do something, it isn't always the smartest thing to do. In the current statist climate, defending your life, liberty, and property from these thieves would probably be suicide. IRS employees could make it right in an instant by walking away from the "job" and by never stealing again. In that case they should be left alone unless they break their word. I'm willing to forgive. But, I will never condemn any person who defends his life, liberty, or property from violators of any sort. And here's a related post from Libertopia. Hey Kent, thoughtt you should know - if I try leaving a comment using Firefox - the entire thing evaporates as soon as I hit publish. That would be one of those computerish things I know nothing of. Sorry.